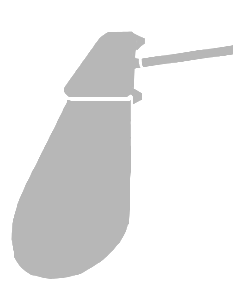 With a choice of two different hull shapes, each built to the same exceptional standard we are continually developing our build technique to ensure our customers get the best. Recent developments include an improved deck/floor moulding which means no join and as such, no weak point or leaking. The information below is for our ‘Complete’ boat which comes with Harken fittings, Selden mast, HD Dacron sail. 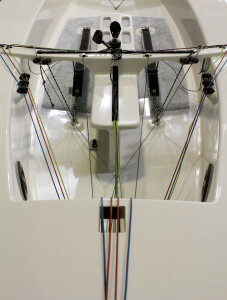 We also offer Allen fit-outs, Super Spars and a range of other sailmakers. Moulded from epoxy foam sandwich the hull is very light yet enormously stiff. They are jig-assembled in the mould to ensure accuracy and consistency and the hand-layed epoxy is done by the same skilled team who have been building Merlins for years. 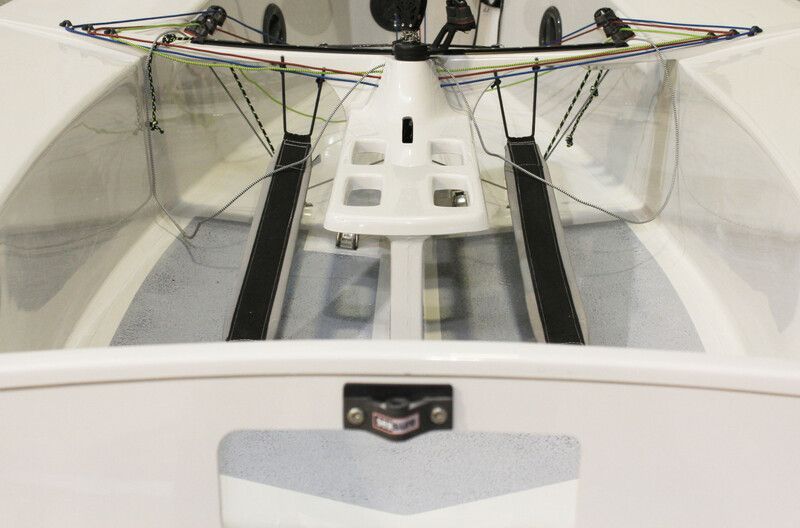 The decks are resin infused and all our hulls are post-cured which ensures rigidity across a wide temperature range. Foils are moulded for absolute consistency of shape and stiffness, the moulds being taken from master plugs made with all our extensive foil making experience. The complete boat comes with Winder centreboard and rudder. The boat comes with a Selden mast. Super Spars are also available. 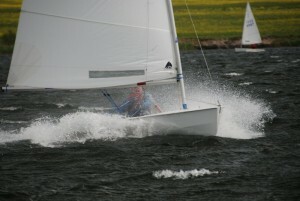 The boat is normally supplied with HD Dacron sails. 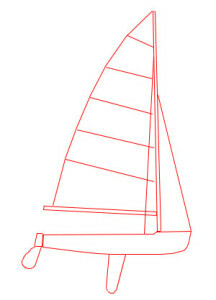 Laminate, 3DL and other sailmakers are also available. The price of a fitted out ‘Complete’ boat as detailed starts at £7200 (inclusive of 20% VAT) and comes measured, weight corrected, calibrated and ready to win.